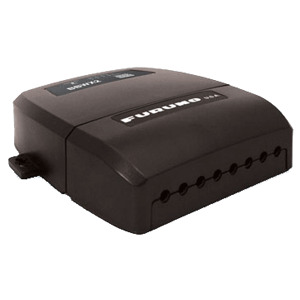 Keeping track of weather is easier than ever with Furuno?s BBWX2 Second-Generation Sirius Satellite Weather Receiver for NavNet vx2 and NavNet 3D! Furuno and Sirius have teamed up to bring you live, up-to-date weather information and forecasting to give you peace of mind, no matter when or how you are using your boat. The weather information is obtained from the weather industry?s leading experts and is delivered via digital receiver through Sirius? Marine Weather services. You have the ability to receive high-quality and comprehensive weather information and forecasting that you can overlay onto your C-Map MAX charts (NavNet vx2) or NOAA raster and vector charts (NavNet 3D). You will be provided with premium weather content, such as current weather reports, NOWRad® nationwide high resolution weather radar imagery and high-resolution Sea Surface Temperature images that can help fishermen locate hot spots. Now you can have your weatherman with you 24/7 with your TRUE color Radar/Chart Plotter and Sirius Marine Weather!